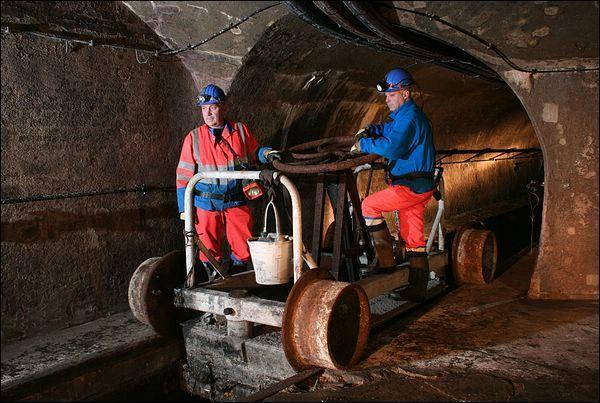 2015-10-29 – On 19 November 2015, the City of Brussels Sewermuseum, located under the Pavillons de l'Octroi of the Porte d’Anderlecht, near the Gare du Midi railway station, will reopen after a two-year closure. Did you know that the City’s sewerage system has nearly 400 km of underground branches that swallow thousands of cubic metres of wastewater every day? The Sewerage Museum invites you on a weird journey into this world beneath Brussels that is hidden but vital for the city’s functioning. This is a museum like no other: a living museum whose undoubted star is the River Senne. It tells the story of when, why and how the sewers were built, reminds us of the people who work in this subterranean world, and explains the water cycle in the city, from the Middle Ages to the present day. Models, relief maps, films and strange objects provide an informative yet light-hearted account of the different facets of the urban sanitation that the sewers make possible.The tour includes a walk that takes visitors to a covered, underground stretch of the Senne and a main sewer. The team of guides consists of former sewerage workers and seasoned historians.